As you review the past year and consider the year to come, we at Olympic Peninsula Wineries would like to encourage you to be a locavore. This is what being a locavore in Washington State looks like. We don’t mean to suggest that you should eat and drink only locally produced foods and drinks 100% of the time (though what an accomplishment that would be). The joys of biting into colorful, juicy Satsumas during grey Pacific Northwest winters are too great to overlook. We do hope you’ll consider the benefits of eating locally: to your health, to the environment, and to your local economy. Those of us who live in the Pacific Northwest are lucky: we can eat a varied diet of foods grown and raised here twelve months a year. We can grow kiwis and tomatoes and greens and berries in our backyards. We can find a wide variety of artisan, farmstead cheeses, free-range chickens, and grass-fed beef at farmers markets. We can eat wild salmon and Hood Canal oysters. 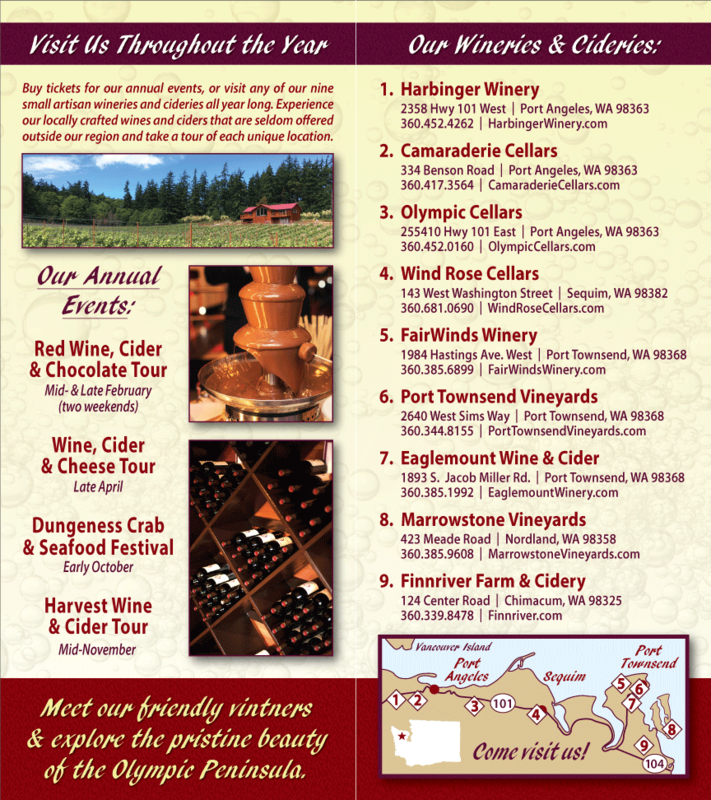 We can drink Washington State wine and cider and beer. In short, eating local in Washington State means eating pretty darn well. Be kind to yourself in 2012. Be a locavore.